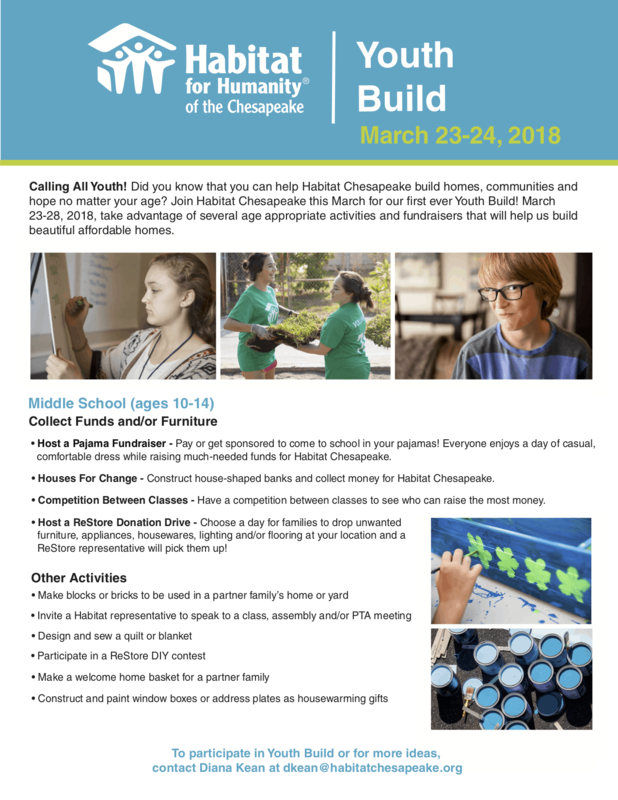 Join us for Youth Build Month! 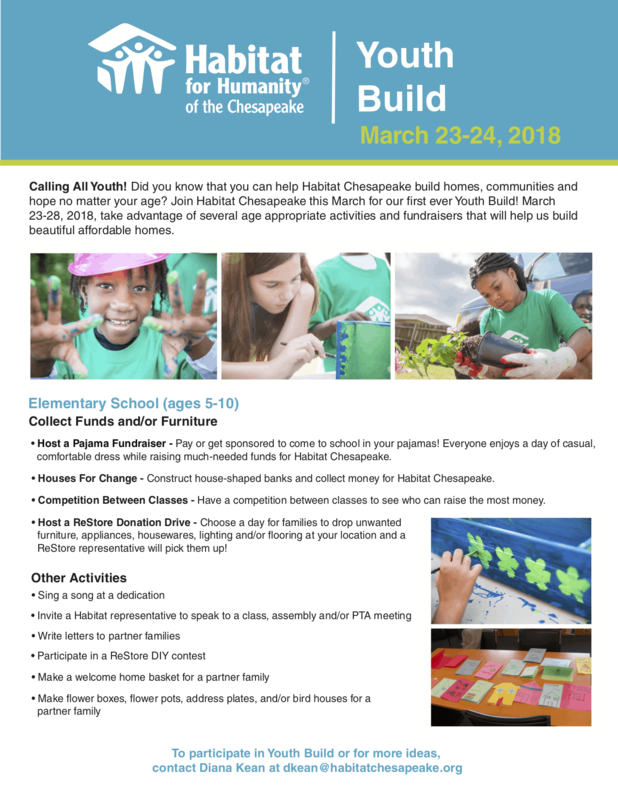 March is Youth Build Month at Habitat Chesapeake! You can get involved too! 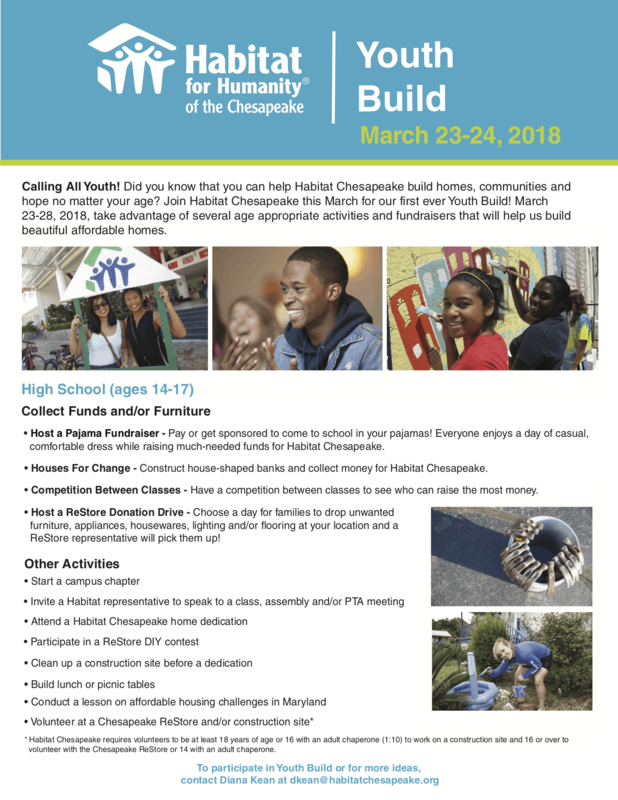 Watch for great ideas on how you can nail Youth Build with us! Ready to dig in? Download our Youth Build activity sheets (below) for great ideas on how to nail it! Be sure to share how you joined us this month! Don’t forget to tag us on social media with pics of how you’re nailing Youth Build using #YouthNailedIt and we’ll share it!